Not only is our selection of carpet extensive, but we also offer installation services in Alliston, ON. Choosing the right carpet to install in your home or the right replacement for your carpet at the end of its life can be challenging. In addition to the many options that are available, you need to determine what styles and colours would be appropriate for the space in terms of how it’s used and how much carpet you need to buy. Although there are many different carpet options available, it’s important to think about whether or not you want to sell your home within the next few years. If you plan to do this, it’s better to pick out a neutral carpet colour than to go with something bolder. This way, you will appeal to a larger group of buyers and ensure that potential buyers can picture themselves living in your home. Once you pick out new carpet, it’s vital to work with a group that understands your needs and is familiar with the best carpet installation practices around. At Giant Carpet Flooring Centre, not only is our selection of carpet extensive, but we also offer installation services. 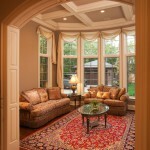 Our experienced professionals can quickly and easily install new carpet in your home, saving you time and frustration. We have been helping clients in Alliston, Ontario for the past 30 years and have been working out of our current location for the past 17 years. Our focus is and always will be on providing high quality products and excellent customer service. To find out more about our services or to find out more about our different flooring options, contact us today. At Giant Carpet Flooring Centre, we offer high-quality carpet to residents of Alliston, Barrie, Angus, Newmarket, Cookstown, Innisfil, Bradford, Midland, Wasaga Beach, Collingwood, Muskoka, Gravenhurst, Bracebridge, Orillia, Thornton, Everett, and all of Simcoe County, Ontario.